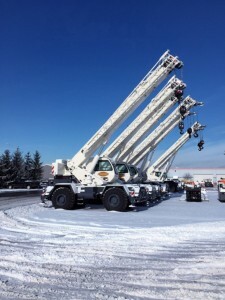 Stevenson Crane Service has nine new Terex rough terrain cranes available for nationwide rental as of Tuesday, Jan. 27. The new additions include three 30-ton Terex RT 230s, two 55-ton RT 555s, two 70-ton RT 670s and two 80-ton RT 780s. The new equipment will provide enhanced performance and allow for increased availability to better serve contractors and users in need of the most advanced lifting equipment.